Hi – great videos -thanks. You mentioned doing the California Mastitis Test monthly but I’ve heard that there can be false positives. It is important to get a benchmark for each goat and how do you establish that. Secondly, you said if you find the beginnings of high somatic cell counts you can nip it in the bud early– what steps do you take to prevent it getting worse? Hi, there can be, but if I understand it correctly, those are usually only at the very beginning and very end of the lactation. Most importantly, as you said, is to get a benchmark and also compare each udder half. Our benchmark has been created by the years of DHI testing combined with the CMT. We give garlic “tea” (see blog post about SCC) and increase the frequency of milking. In fact, after making the video we had our very first ever case of acute mastitis in the doe in the video that I mention has a poor udder shape for milk out. The milk went from a SCC the month before of 24,000 to over 2 million and the milk looked like pudding or thick pus, the CMT looked like jelly. We started milking her 3 x a day (from once a day), rubbed her udder with peppermint udder cream, gave probiotics orally, and dosed her with the garlic tea 3x a day. The CMT is almost normal now, after 2 weeks of this treatment so we are continuing with 2x a day and probably will until the next milk test. I try to avoid antibiotics and remind myself that organic producers cannot use them and keep the animal in the herd. So there must be a way, it is just more work. Awesome videos, thank you very much. When you give garlic tea (when you’re nipping it in the bud rather than treating full blown mastitis) do you take the doe off the milk line? I am under the impression that garlic would change the taste of the milk so I was wondering about a withdraw time. Thanks for all of your information that you share with us. 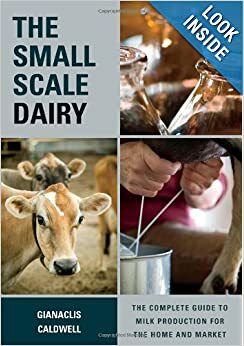 We have read most (I think all) of your books before we decided to start our small dairy. It is really nice to have a go to guide. Hi there, we do milk her separately. I now am giving garlic capsules (the same as are used for humans). They goats usually just eat them out of my hand. 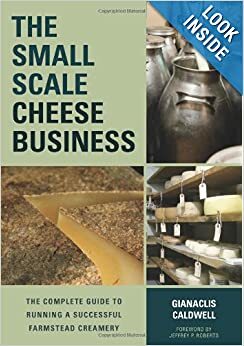 I do know of one producer who gives her milking string garlic one day a week and then makes a flavored cheese the next day!